Don't let the bottom pix fool you; I'm a top shelf disapprover all the way! 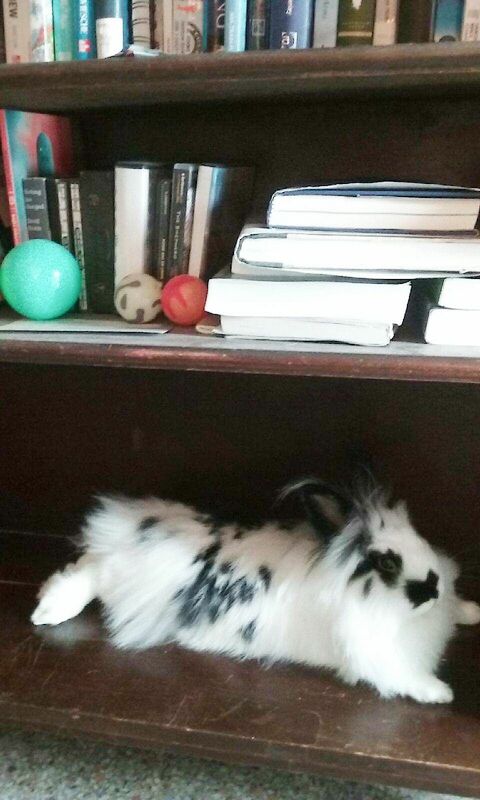 So, there I was, trying out a new bun cave. Espresso tried it and like it. Or not, because all his favorite noming artifacts disappeared. 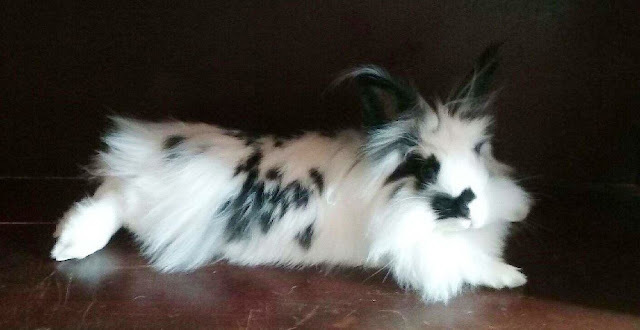 This morning we discovered that Belinda, the spokesbun for SmallPetSelect, mentioned us in her latest blog post! Latte has a V.E.T. appointment, first thing this upcoming Tuesday morning. We found a scab on her left, hind leg. Her ankle joint looks a little enlarged and there's something that looks like a small, open wound. None of that seems to be slowing her down, and we came across purely by chance. So, on Tuesday, we'll make the post in the evening, after we have a better idea of what is going on. Hopefully, this is nothing. Then again, with all the bunns that had left for the Rainbow Bridge, this is playing tricks on one hoomin's noggin and turns his legs into rubber. Wishing all good news from the vet ..
Paws crossed for Miss Latte and happy thoughts and prayers for her hoomin! One always hopes that a little antibiotic will fix it right up.